What Did That Westwood Short Sale Sell For? 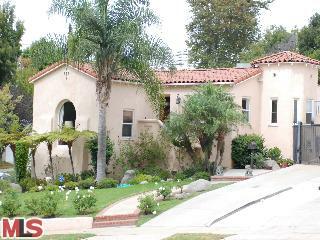 The Westwood short sale at 10497 Kinnard Ave., LA CA 90024 finally closed this past week. The home was listed back on 9/8/09 for $1,099,000 and received multiple offers within the first few days of coming on the market. And in typical short sale fashion, its been about 8 months till this closed. Another thing to notice, as I will reveal in the closed sales price, is the list price was a teaser price. It was listed low to entice multiples so they can get the process started as quickly as possible with bank. But its also entirely possible with this property that the bank came back several months later at a higher price than what was offered, more of a market price, and the buyer had to accept that counter. The home closed on 5/7/10 for $1,270,000, or $171,000 over the asking price. According to the MLS, the home is a 3 bedroom / 2.25 bath, 1,705 sq ft of living space on a 7,318 sq ft lot. You can read the first post about this property here (10497 Kinnard Ave Short Sale).